It’s a pretty picture, isn’t it? Everyone sleeping. A peaceful house. No one screaming. No one having night terrors. No one crying two, three, four, a million times a night so that you have to drag yourself down the hall to console them, all the while restraining yourself from crying right along with them. Sleep: everybody needs it. Everybody wants it. Not everybody gets it. Oh, but just go look around on Pinterest or your newsfeed, and it will seem as if everyone else has it figured out. Everyone else has their baby sleeping through the night at three months old and potty trained before they’re two. Their kid also smells constantly of sunshine and farts glitter. Didn’t you know? I’m here to tell you that every kid is different, and not every kid will sleep through the night at a designated time. 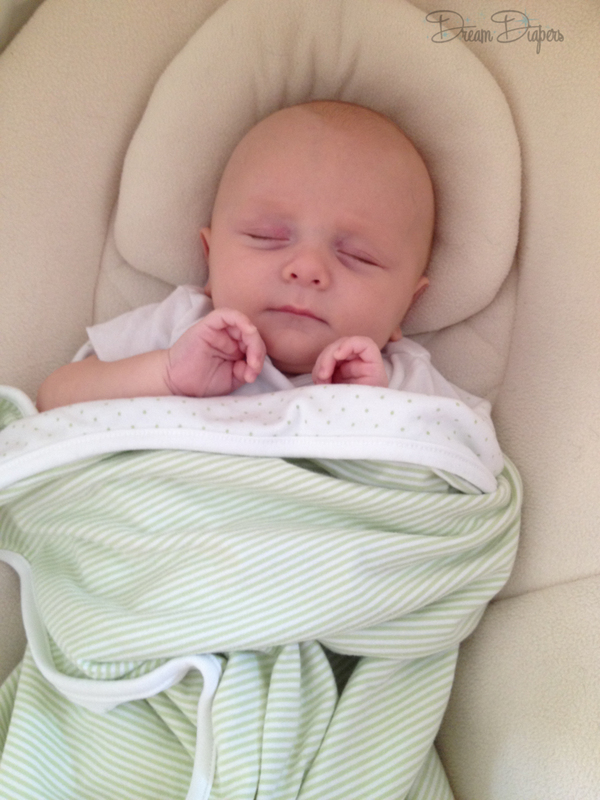 In fact, most research shows that babies before 4-6 months of age are unable to be truly sleep trained. We read the books. We consulted the experts in person. We did everything asked of us. And you know what? Lucas still didn’t sleep through the night until he was almost 2. BUT (that’s a big but) he’s always been a good and fairly consistent napper. He’s always been a fairly happy and content child. He’s very rarely lost his mind in the grocery store or thrown a full blown hissy fit. And he slept mostly through the night, waking only once to nurse for like two minutes before zonking out again, from about 15 months until just before he turned two, when he finally slept all night long with no interruptions. He’s slept in his own crib since he was 7 months old (before that he was in a cosleeper next to me) and falls asleep on his own each night. We don’t have to pat his back until he falls asleep or lay with him or sing to him until he’s out or rock him until he becomes heavy. He doesn’t need to “cry it out” and never has. He’s a healthy sleeper. But he didn’t sleep through the night for the first 23 months of his life, so neither did I. And it sucked. #TeamNoSleep is a real struggle for most moms, especially new moms. So you, the one with the kid who just. won’t. sleep. I wish I had some magic answers for you, but all I have are the main components to healthy sleep that we picked up from a variety of sources including The Sleep Lady (author Kim West). And I’m going to forewarn you right now, these are not magic bullets. These are not easy changes to make necessarily. But if you’re suffering as much as I was in the beginning, anything is worth a shot, right? 1. Respect the schedule: Keep bedtime and naptime at a consistent time each day, every day, without exception. I know how obnoxious it is to plan your day around a nap or bedtime. You have errands to run. You have birthday parties to attend. You have to get to the post office by five! You have a dinner at your parents’ house, and it doesn’t even start until 7 and bedtime for your kids is at 8! I hate to tell you this, but tough tough, creampuff. As with almost everything in parenting, if you want your kid(s) to have a healthy sleep schedule, you need to be consistent. Plan your day to do your errands during their longest awake period so that you’re not trying to cart a dangerously overtired 2 year old through Target as he screams and cries and tries to hit you from where he’s strapped into that red plastic seat. Now, obviously, there will occasionally be times when you just can’t get home in time to honor their schedule, but you’ll adjust accordingly. Flexibility is important for your sanity. However, if you’re way off schedule, you’ll feel the fallout of those times, reminding you of why you have a schedule in the first place, trust me. Also, if your child is sick, sometimes the schedule is completely thrown out the window, but often it helps to keep with it as much as possible while adding additional sleep to help them rest to get better. A few winters ago he was very sick, so he slept in my arms in the rocking chair, but he still napped on his normal schedule. 2. Sleep begets sleep: If your child isn’t napping/getting rest time during the day, he won’t sleep well at night. 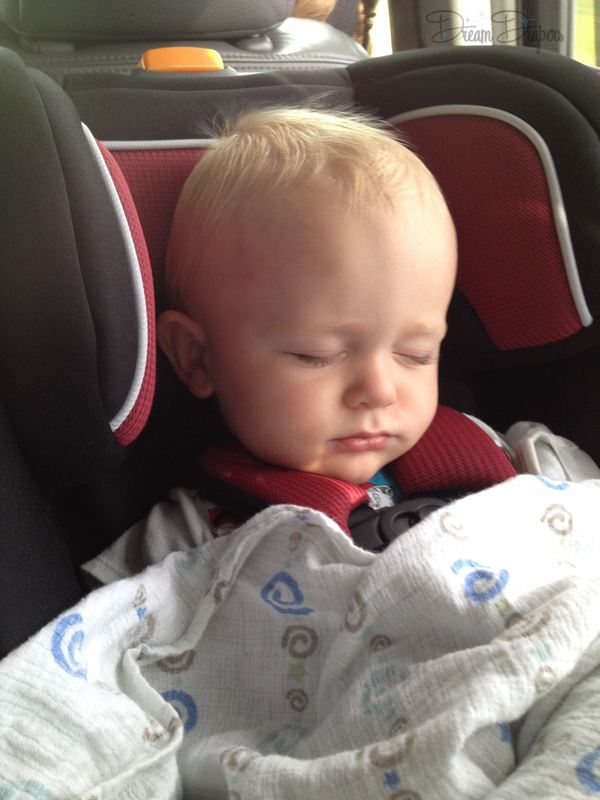 If your baby falls asleep every time you’re in the car, he’s probably not getting enough sleep during the day. If your kid is under the age of 3 and not taking at least one nap a day and then is waking up at like 5am or throughout the night, it is because your child is overtired. Your child needs to nap during the day so that he is not a holy terror by the time 6 o’clock rolls around and so that he’s not prodding you in the eye at 4:30 in the morning to make him waffles. Obviously, this varies from kid to kid, but most toddlers still need at least one rest period during the day to have a healthy amount of sleep at night. 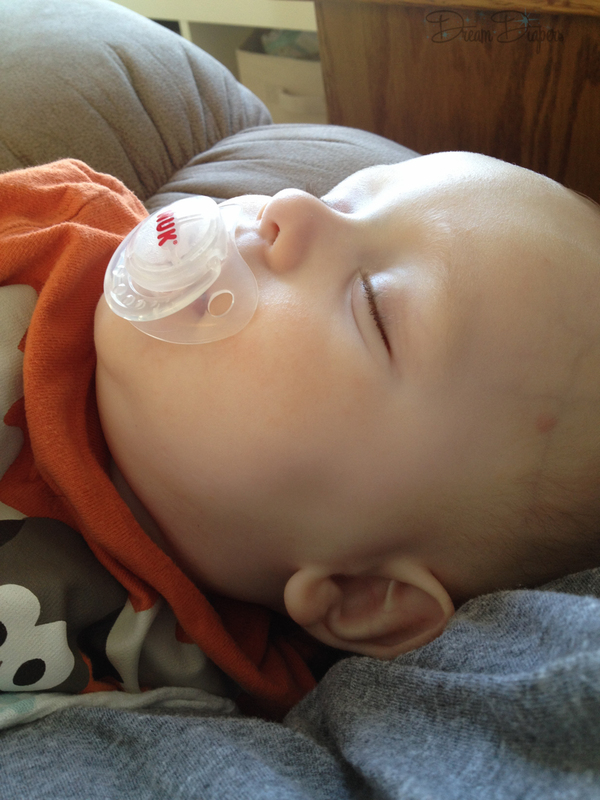 When Lucas started fighting nap time as he got older, I moved it to a little later in the day when he was more tired, and naps resumed as usual. As long as there are 3-4 hours between when they wake up from naptime and when they go to bed, you’re usually good to go. So for Lucas at 2 years 8 months old, he naps from 2:30-5:30pm every day and goes to bed at 9/9:30pm and wakes up at 8:30/9am. Also, the younger they are, the more sleep they need during the day to be able to get enough sleep at night. When Lucas was 8 months old, he’d nap two or three times a day, but always on a fairly consistent schedule, and that schedule changed as he grew and became more active. 3. Create the right sleep environment: Remove excess light, maintain temperature, reduce startling noises, and provide comfort they can keep with them. Keep your kid’s room between 68-74 degrees and make sure their sleepwear is appropriate for the season and the temperature of your home. 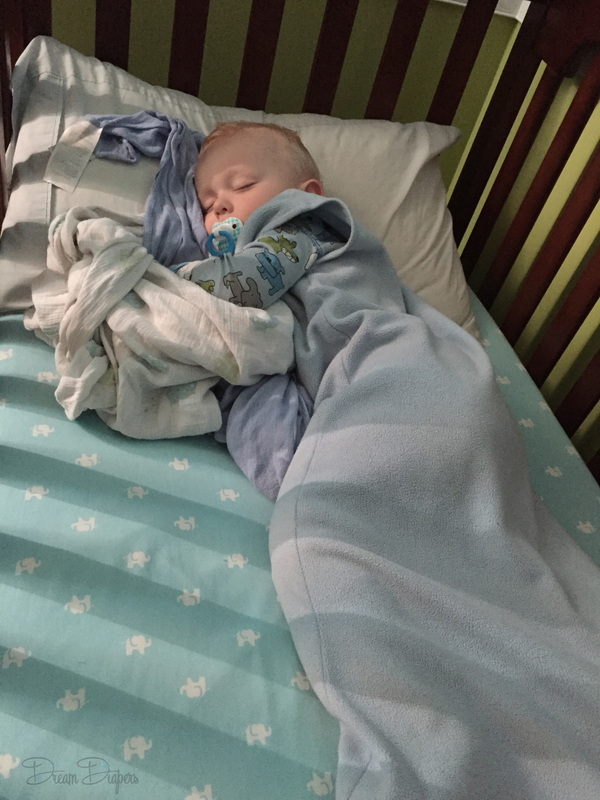 For infants and younger toddlers: I loved using a sleep sack because it prevented Lucas from kicking off blankets and getting cold as he was rolling around while trying to fall asleep or while asleep. For older toddlers or non sleep-sack wearing kids: make sure your kid is wearing what they feel most comfortable in when sleeping. For Lucas, he prefers to nap with no pants but needs a shirt, pants, and socks for bedtime. Keep the room dark. It helps if you do this from the get-go so that there is no developed fear of the dark (although that doesn’t always prevent that). Use black out curtains and limit any electronic lights in the room. If they absolutely need to use a nightlight, keep it behind a piece of furniture far away from their bed/crib. Run a white noise machine or box fan in their room to block out any startling noises. Finally, find something age appropriate that comforts them. For some babies, it’s a pacifier. For others, it’s a special blanket or stuffed animal. 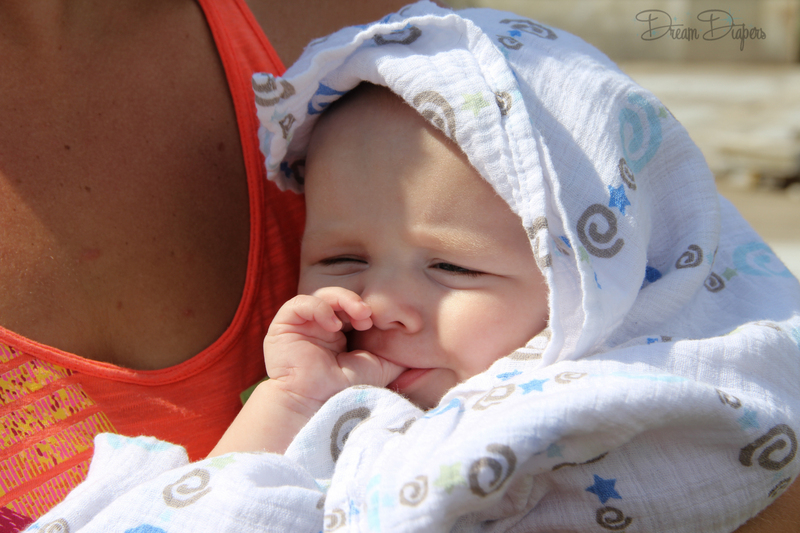 For infants, it’s often being swaddled. Please remember that for babies under a year old, no loose blankets or pillows or stuffed animals should be used in a crib for fear of accidental suffocation or strangulation. 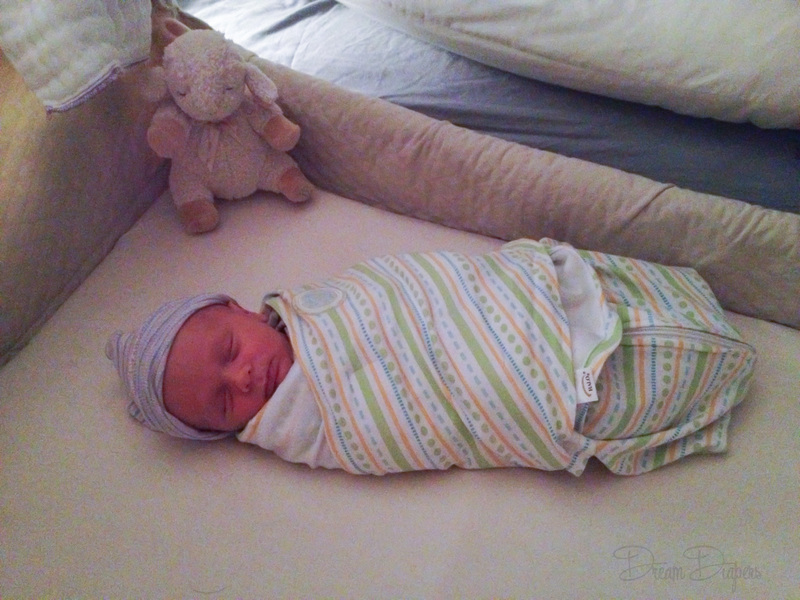 For Lucas, it’s muslin or bamboo blankets like the Aiden and Anais blankets or the new Tula blankets. 4. Routine, routine, routine: Create one and use it. every. single. time. 2:20- He uses the potty, and I change his diaper. 2:35- He rolls around for a few minutes to get comfy then falls asleep for 2 1/2 – 3 hours, waking up happy and refreshed (most of the time). 8:30pm-He picks 3 (short) books (sometimes less if he’s dilly dallied earlier) for one of us to read with him as we rock. 8:45pm- He uses the potty and is changed into his nighttime diaper. 9:00pm- He rolls around for a few minutes to get comfy and falls asleep until morning. Your family may have a prayer in there or reading with a sibling or singing a special song every night. Whatever you set your routine to be, stick with it. It takes a while for it to sink in and become, well, routine, but in the end it’s very helpful to make your child feel secure and safe, knowing what comes next and expecting the comfort of that routine. When traveling, try to bring whatever it is that you use during bedtime/naptime at home. We bring his box fan, blankies, pacis, and even his bedsheets and pillow when we travel so that everything feels and smells like home. Making excuses for yourself doesn’t fix the problem, and you’ll only have yourself to blame. It’s easy to let them crawl back into bed with you or let them watch tv in the morning while you get some extra sleep (guilty) but allowing bad habits even one time tells your child that it’s okay all the time. There is no understanding of “sometimes” with toddlers and especially not with babies and infants. I know you’re exhausted, but try your best to stick to your schedule and routine. Give it a chance to work. In the end, it will be worth it, and you all will be sleeping better. *Illness and major milestones in growth and teething will still throw a big fat wrench in things sleep-wise. Continue to be as consistent as possible throughout those times, but allow yourself some flexibility to meet the needs of your child. 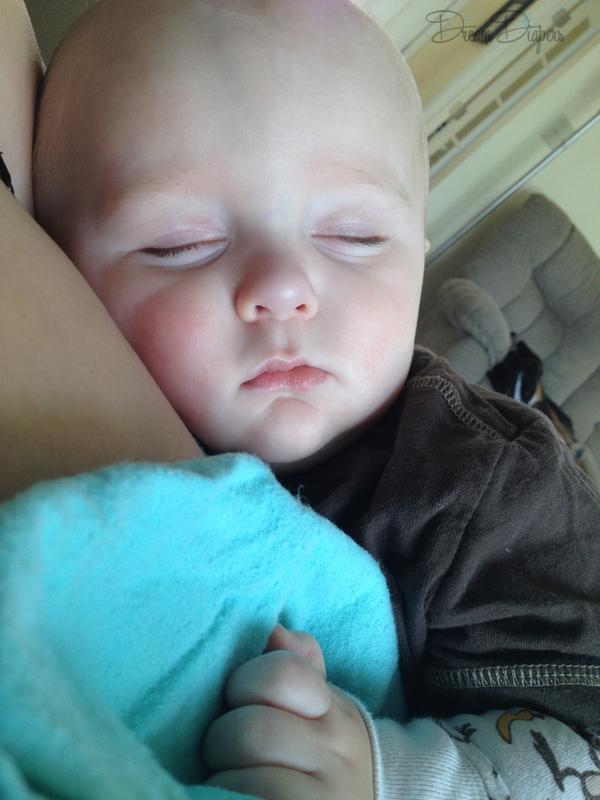 *A side note for nursing moms: the advice “stop nursing at night, and he’ll sleep” is total crap. You nurse that baby as often as he needs it. If it’s easier for you, co-sleep safely to make it easier for you both for nighttime feeds. And when all else fails, just remind yourself over and over, “This isn’t forever. He won’t always need me like this. Enjoy this while you can,” and do your best to give yourself a break and sleep when baby naps during the day if you need it. 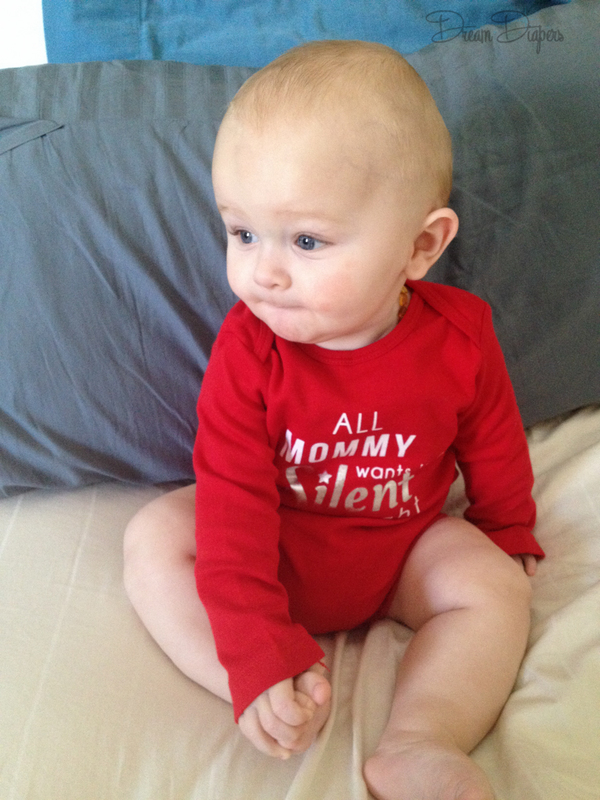 Lucas had this onesie at 8 months old that read, “All Mommy wants for Christmas is a Silent Night.” Thanks to implementing healthy sleep routines and being respectful of his schedule, we’re finally getting that every night of the week (barring any sickness or teething). We here at Dream Diapers hope that you get your silent night for Christmas this year and get loads more sleep in the new year. If you need a little help, don’t forget that we sell awesome teething oils and rubs, Eucalyptus rubs for sick babies, as well as super soft swaddling blankets to aid you on your quest for better sleep. Have a great recommendation for healthier sleep? Does your child snuggle with a blanket you bought from us? 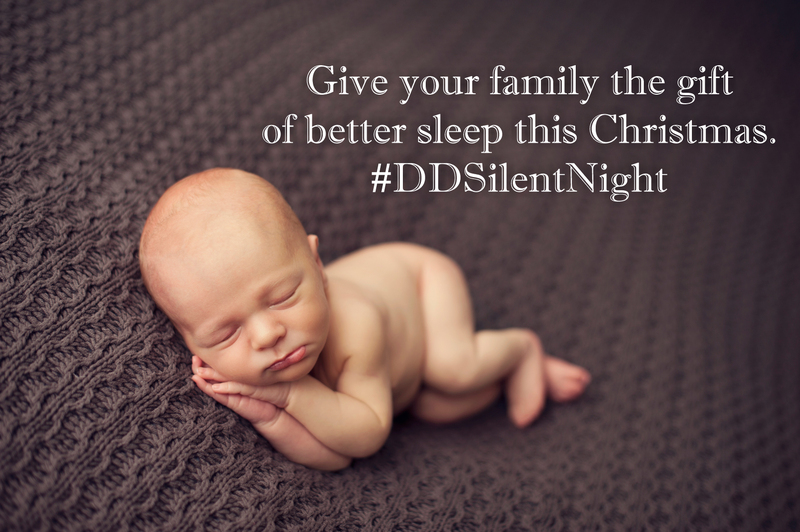 Share your routines/suggestions or your cuties with their blankies with us on our Facebook page or by tagging us @DreamDiapers on Instagram or Twitter and use the hashtag #DDSilentNight.